Richard Parke is Co-Chair, Electro-Mechanical Litigation for Kenealy Vaidya LLP. 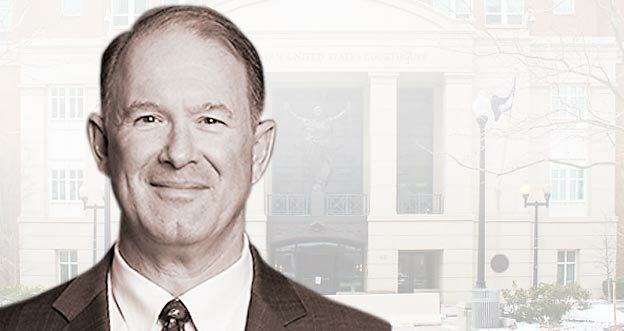 His practice includes litigating complex intellectual property cases, counseling clients in maximizing their intellectual property assets and opportunities through procurement, negotiation, enforcement, or acquisition, and conducting intellectual property due diligence for various corporate transactions. Mr. Parke’s patent litigation experience encompasses a wide range of technologies, including medical devices, semiconductor manufacturing, pharmaceuticals, industrial equipment, telecommunications, data encryption, assay methods, food chemistry, and consumer products. Mr. Parke graduated from the United States Military Academy at West Point with a bachelor of science degree in general engineering in 1984. He received a Regular Army commission upon graduating from West Point and served as a combat arms officer. Mr. Parke received his law degree from New York Law School in 1990. He is admitted to practice in New York, New Jersey, the U.S. Court of Appeals for the Federal Circuit, the U.S. District Courts for the Southern, Eastern, and Northern Districts of New York, the U.S. District Court for the District of New Jersey, and the U.S. Patent and Trademark Office. Before joining Kenealy Vaidya LLP, Mr. Parke was a partner at a major New York intellectual property law firm for over fifteen years. He has been named, for the past five years, as a Super Lawyer® for Intellectual Property Litigation. Mr. Parke served on the New York Intellectual Property Law Association’s Board of Directors, after chairing the Association’s Continuing Legal Education Committee. He is currently President of the West Point Society of New York and an officer in the West Point Chapter of the Association of the United States Army. Richard Parke is a seasoned attorney who litigates complex intellectual property and commercial cases; he is a creative, flexible professional adept at counseling clients to maximize their intellectual property assets and opportunities through procurement, negotiation, enforcement, and acquisition.